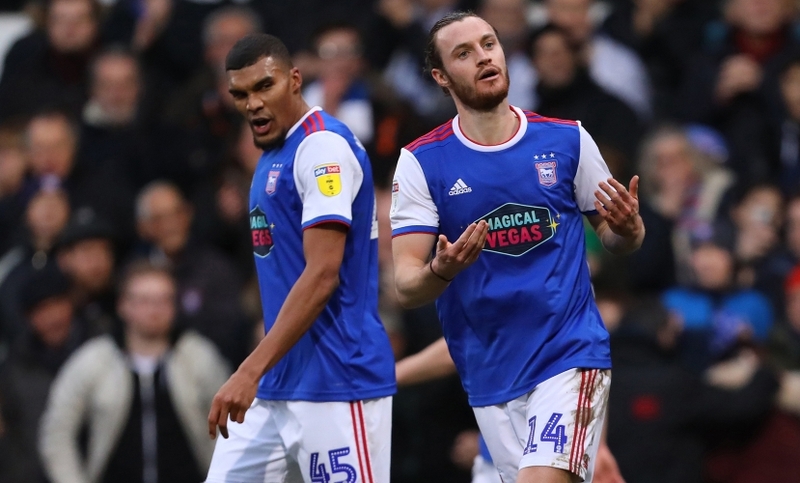 Winning goalscorer Will Keane says Town’s season starts now following the 1-0 victory over Rotherham at Portman Road. 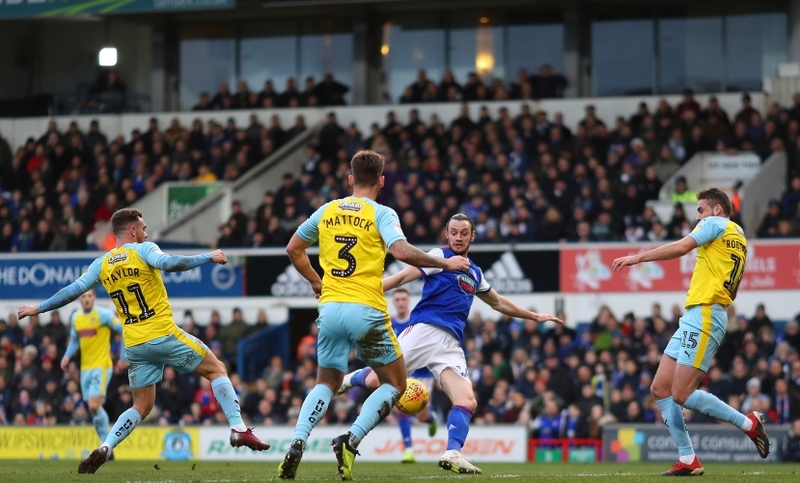 The 26-year-old netted his first goal for the Blues in the 31st minute as bottom-of-the-table Town cut the gap to safety to seven points plus goal difference. 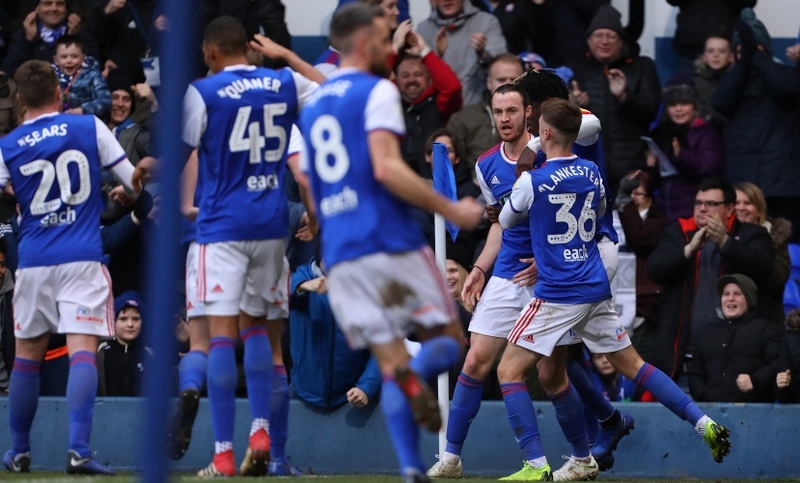 “Absolutely delighted to get the win and a perfect start for me with the goal,” said the on-loan Hull City man, who was making his full, league and home debut for the Blues having come on as a sub at Accrington in the FA Cup. “We wanted to give the fans something to cheer about and we did that. Reflecting on his goal, he added: “It was a great cross in by Freddie Sears. It came at an awkward angle but luckily it came back out to me and I was able to put it away. “There is a confidence and belief in how we play and performances have been good but we have not had the results. Chambers, who inadvertently somersaulted over a perimeter gate in the first half, suffered a wrist injury which isn’t expected to keep him out of action. Keane started the game in a role behind the more advanced Collin Quaner with the Blues utilising a 4-4-1-1 system. “I’m quite flexible,” he explained. “At Hull I was mainly a number nine when I did play, but I have also played at number 10. I can link-up play or play the lone striker. “I’m desperate to play games and help the team. You can sense the atmosphere and the fans were great. Stockport-born Keane, who has twice suffered cruciate knee ligament injuries during his career, is pleased to have got off the mark so soon after joining Town. “As a striker you want to get that first goal and I enjoyed that but there is a long way to go,” he said. “Hopefully I can kick on and get a few more. “The injuries were a blow but I have been fit for some time now but wasn’t getting the opportunity to play and it is even more frustrating when you are fit but not getting games. That was a massive factor in me coming here. “It has happened before when you go on loan and go two or three games without a goal and it does affect your confidence as any striker will say. “Even in the games I have played and not scored I have felt good and come close to scoring but have just been unfortunate. To get that chance today and put it away was really pleasing and I can build on that. Keane, who came through the youth system at Manchester United and has represented England at U21, U20, U19, U17 and U16 levels, believes his parent club’s turnaround this season shows what can be achieved. “I hope the Great Escape is on,” he continued. “There were 60 points up grabs and we have the first three. 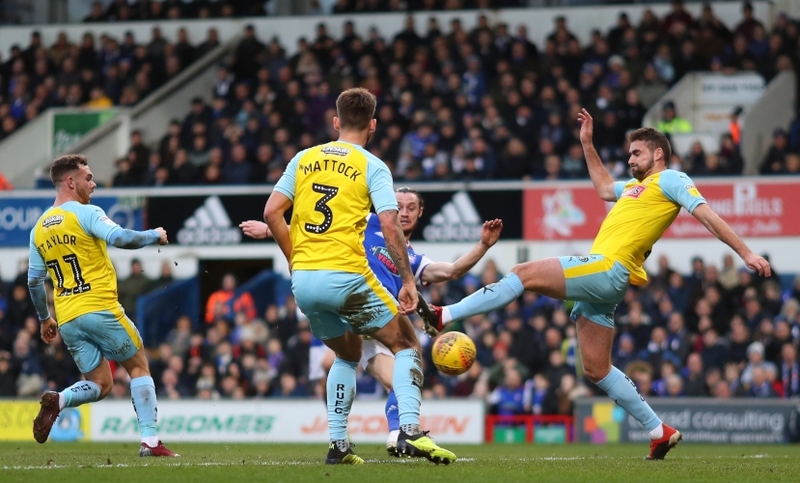 Rotherham’s Ryan Williams felt his team started poorly against the Blues: ‘We didn’t start very well and they came out quick and capitalised on that. “We created quite a few scrambles in the goal and on another day we could have put them away. It just was not our day in front of goal. “We wanted to make the gap bigger but didn’t do that, although we have another chance against Brentford on Saturday. “We always start a little slow, then second half we do well and end up running over teams, which is what we did. They had two shots in the second half. “We need to do better at 0-0. They do tell us to do better from the start but for some reason or other we don’t and we end up having a few close calls. We need to start better in future. We were happy with the second half. “We don’t see ourselves in a relegation fight. We just go out there and give it our lot every game and see where that gets us. Meanwhile, Town’s table-topping U23s are in action away against Cardiff City at the Cardiff City Stadium this afternoon (KO 12pm). 4 points from Blackburn and villa needed to put us back in the mix. Big ask but we need results from those two games. Well I hope so, it will be the biggest turnaround in championship history! It’s called Karma Ryan, under no stretch of the imagination did you deserve the 3 points you took from us in August, you have had your good luck as well! "Chambers, who inadvertently somersaulted over a perimeter gate"
It was important to win but realistically playing like we did second half will not get us the required points. Let hope we can improve the mid field over the next 3 weeks. good read,i'm sure i recognise that exact headline from a few years ago though! We got lucky. However that's the nature of the sport, other teams/games we've been unlucky. We had a number of new players lacking match sharpness, once this team gels more, perhaps with even more additions as we proceed with this breakneck revamp post-Mick, we can do enough to climb up the table. looking at fixtures [in general not just ours] its going to be very hard to get out of the mess we are in . The clubs around us playing each other is going to cause problems. We cant afford give a point away . COYB we dont want Lge 1. We finally got the rub of the green ,lets hope it and the impact of the new players continues, particularly as they get up to match fitness. Looking forward to Judge's arrival. I was there on Saturday and the atmosphere was awesome, Collins an absolute rock! The big question now is just what are we going to do with The majority of the dross Hurst brought in? kiwi, the dark lord started very well indeed, 2 wins, 5 goals, gio! all went very quickly downhill after that, let's hope will has more staying power! Rotherham are horrible to play, worries me as they will continue to pick up points. Actually think we will play better against better teams. Can see us shocking a few in the coming weeks! Keep the faith!! Happy with these new signings, we will be a different proposition over the ‘back 9’. We are due a change in fortune, we’ve caught lots of teams at the wrong times this season, let’s hope we catch a few mid-blip! Shame other teams started their season back in August. Still think the gap is too big but would love to be proven wrong. Just did a quick count... he refers to Town as "we" 17 different times in the above quotes. Not bad for a loanee who's only been here a week. That's the Lambert effect for you. COYB. Get Giuseppi Rossi in on a free until the end of the season!